Turning 65 and qualifying for Medicare doesn’t mean you also qualify for Medicaid. Let’s review the difference between Medicare and Medicaid so you can choose the program that best fits your needs. Even though Medicare and Medicaid sound like the same program they are very different in who they provide care for. Make sure you understand these programs to ensure you receive all of the benefits you qualify for. Medicare is a Federal Health Insurance program available to people 65 and older, people with certain disabilities and those with end-stage renal disease. If you are turning 65 soon, you’ll want to click here for more detailed information regarding the Medicare Insurance Program. Medicaid is a joint State and Federal program focused on providing health insurance to low income individuals. Medicaid may also cover services that Medicare does not. 3. Can I qualify for both? Yes. This is called dual-eligibility. 4. How do I qualify? To qualify for Medicaid, you must meet strict income guideline. Medicaid is available to people of all ages. Call your state Medicaid program to see if you qualify. If you are turning 65, call the Social Security office at 1-800-772-1213 to get started on Medicare. 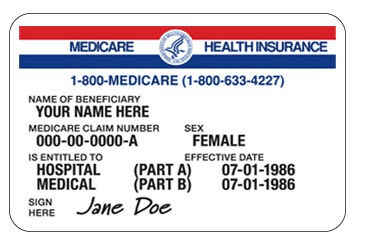 Want more information regarding Medicare Insurance and Medicare Supplement Plans? Click here to download our FREE Medicare Strategy Guide. You can also call us at (480) 382-1823 to speak with a licensed insurance broker. PreviousPrevious post:Moving to a New State with Your Medicare Supplement PlanNextNext post:Will You Lose Your Medicare Insurance on October 15th During Open Enrollment?